Easy chicken taco soup recipe that can be ready-to-serve in 20 minutes! #1, the ingredients in this recipe are considered pantry staples at my house :-), but we all LOVE Mexican flavors and are used to eating tacos once a week. So for me, I know I almost always have these basic ingredients on hand to prepare this soup, which is a huge plus! #2, this recipe is so great because it only takes a few minutes to prepare. 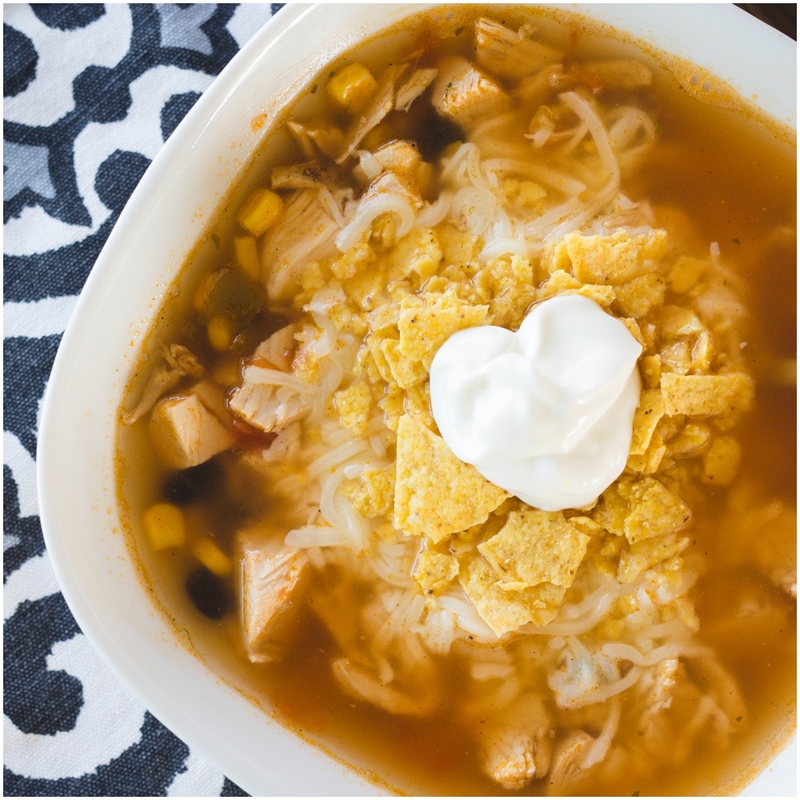 Warm, comforting soup can be made in minutes when it’s Chicken Taco Soup! Quick-to-prepare, and full of bold Mexican flavors! Mix all soup ingredients in a pot, and bring to a boil. As soon as it reaches a boil, reduce heat to medium-low and simmer for 15-20 minutes. To serve, top each bowl of soup with shredded cheese, crushed tortilla chips, and sour cream.